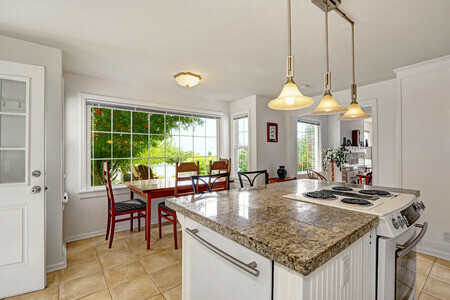 Enjoy imported granite, marble and quartz. Browse and choose from thousands of granite, marble and quartz slabs to compliment your home decor. Create decorative elements, countertops, fireplaces, tabletops, bases, commercial work, hotels and more that are eye-catching and unique. 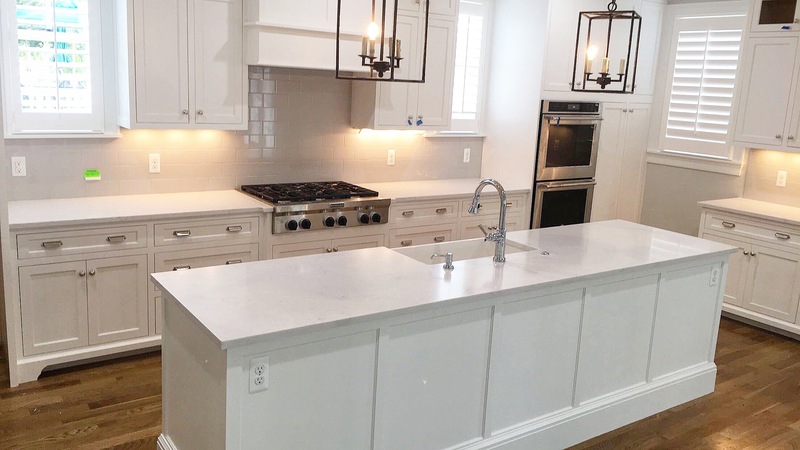 You’ll be delighted about design professionals who can work their magic to help you choose the right granite, marble or quartz to match your current interior decor. Once you choose the slab you want, allow the pros to measure, cut, and install it for you. Then, all you have to do is sit back and enjoy your incredible new granite, marble, and quartz. Your chosen material will be fabricated perfectly with state-of-the-art tools. 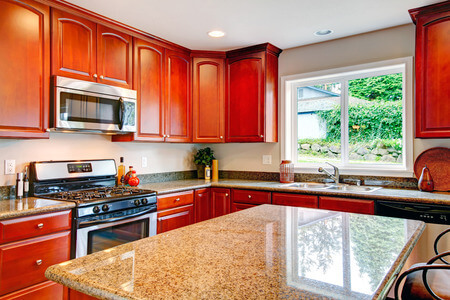 We can have you kitchen installed within one week of final measurements. Our name Extreme Granite & Marble tells you that we can do it all! 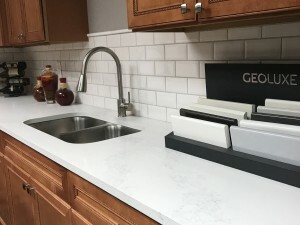 From simple vanity sinks to detailed mosaics, when you allow Extreme Granite & Marble to supply and install all your custom countertops, you know you are getting the best for your money! There are some who only supply the materials and there are some who only install. But Extreme Granite supplies, cuts, and installs your countertops. So, that you’ll be certain we are the best, you may have a vision of what you want, but can’t see it even when you visit our showroom. That’s not a problem, because our designers are skilled at taking your (designer) vision and turning it into reality! Our very own talented designer staff will help you come up with creative ideas to match your current decor. Our designers are professional, love what they do, and are inspired to help you. We’ve built our reputation through thousands of satisfied builders and homeowners. 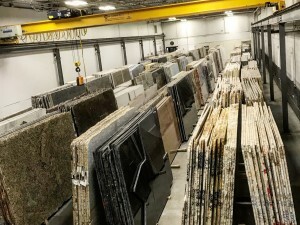 Our expertise has made us one of the largest, locally owned and operated granite companies in Michigan. Our warehouse, located in Troy, Michigan is central to homeowners and businesses in Rochester, Clarkston and other surrounding areas. So, you see that we are available just for you. The high quality of our products and services is what keeps our customers happy and why we continue to receive the highest praise on our work. We are passionate about what we do and always ensure that our clients are satisfied with all aspects of our products and our services. 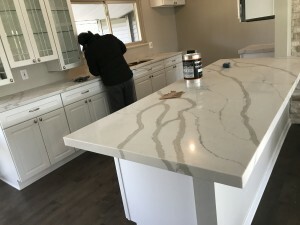 Extreme Granite & Marble, Inc. is the only company that offers a one-week lead time, after final measurements are filed. We pride ourselves on having the fastest lead time in the business in Michigan. Our expert team can have your job installed in one day. Our state-of-the-art facility utilizes the latest tools and technology to provide custom fabrication services. We accommodate to any shape wall, counters and other dimensions. Our installation team is very experienced and always caters to our clients’ needs. All installations are backed by our products and our company. 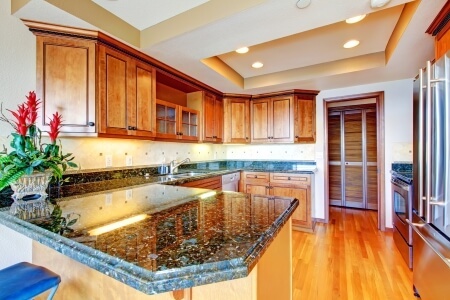 So, if you’re looking for durability, granite, marble and quartz are simply the most attractive materials around. 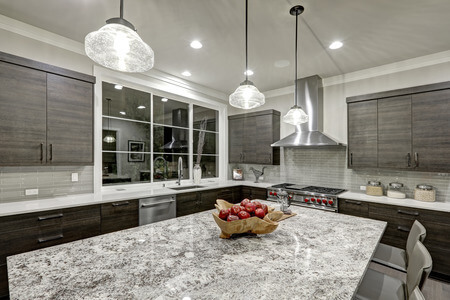 Our wide selection of the choicest stones will enhance kitchen and bath countertops, tabletops, and much more. And you’ll find that the reputation we have for quality products, precision fabrication, and expert installation is current and doing well. Imported Granite, Imported Marble, Black Granite, Black Marble, Granite Installation, Marble Installation, Countertop Installation, Marble and Granite, Jacuzzi Surrounds, Fireplace Surrounds, Granite Remnants. 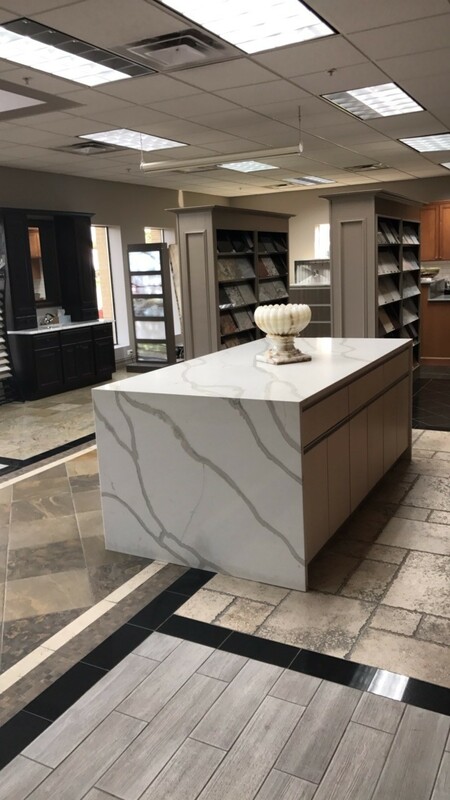 Visit our showroom located in Troy. We are open six days a week from 9:00 a.m. – 5:00 p.m. on Monday, Tuesday, Thursday, and Friday. On Wednesdays, we are open until 6:00 p.m. and we are open on Saturdays from 10:00 a.m. until 1:00 p.m. Call us at 248.307.0832. We offer free in-home estimates. Our staff will gladly come to your home or office location and provide any information as requested and take necessary measurements. We also welcome your emails, as well. You can email us from our website or from your own laptop or computer. You can also view our gallery of granite and marble for every place in the home, from new kitchen counter tops, to fire place surrounds. Email us for a quote at info@extremegraniteinc.com.